see Make Predictions. Win cash. In Make Predictions. Win cash. , we enticed people to make their 2017 baseball predictions with the succulent reward of a sweet Benny F $100 bill. In addition, to get your hardball Nostradamus juices flowing, we purchased the 1972 Street and Smith’s from Yankee Peddler in the Village Gate for $18. As seen in Street & Smith’s now defunct. Here is Kramer & Kramer’s Official 2016 Yearbook, that venerable institution was a victim of the digital age. But the nostalgic buy gives a chance to ask that age old question pitting purists vs. comtemps: was baseball batter back in the day? We chose the 1972 edition for several reasons. 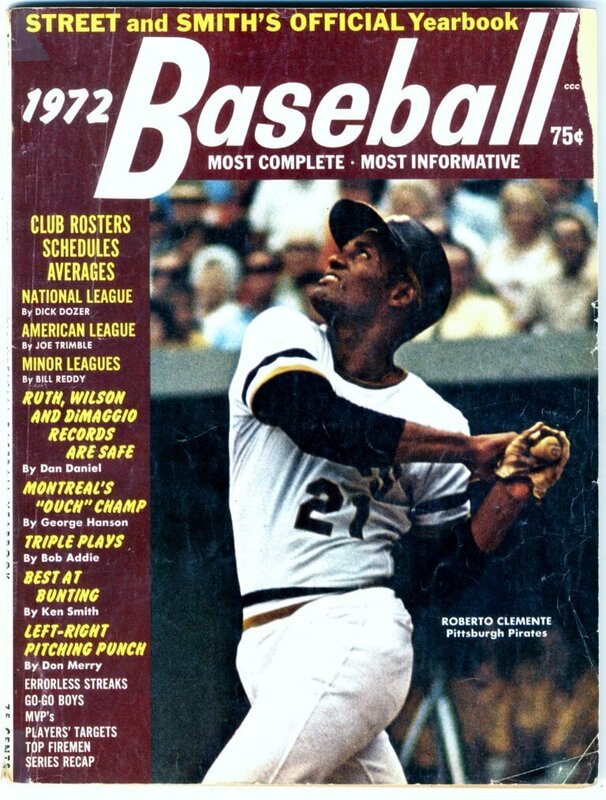 Tragically, Roberto Clemente died helping Nicaraguan earthquake victims after the 1972 season. 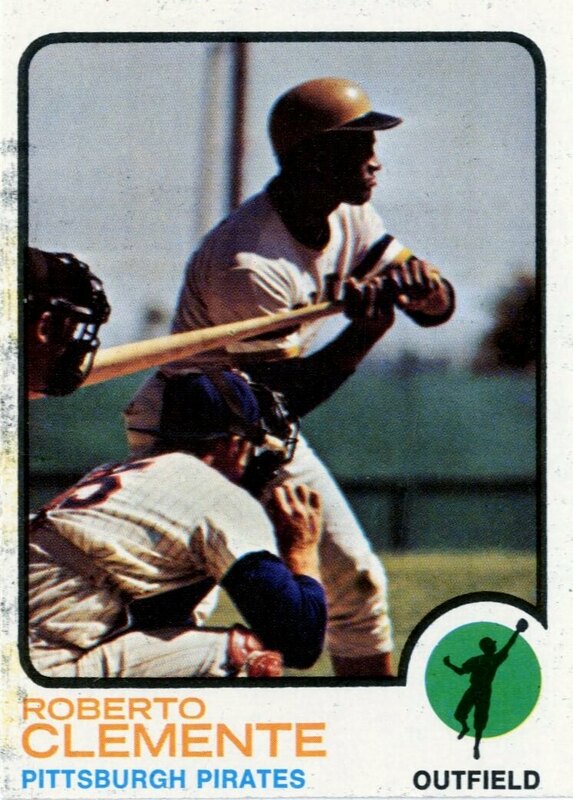 I never had the chance to actually watch Clemente play, although his 1973 Topps card is among the treasured in my collection. 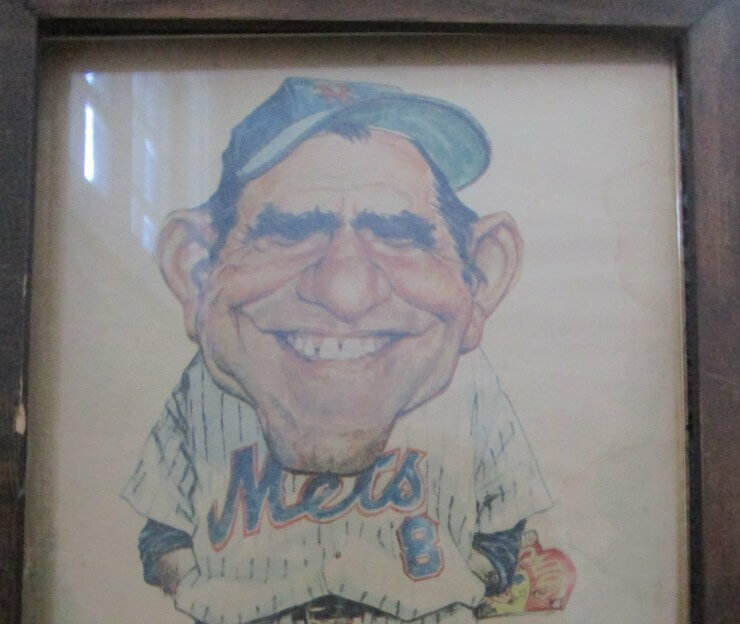 As seen in On Yogi Berra and Dale Berra and the 1973 World Series and Willie Mays and my father , I did not watch my first baseball games until 1973 when we followed Willie Mays all the way to the on deck circle in the 7th game. 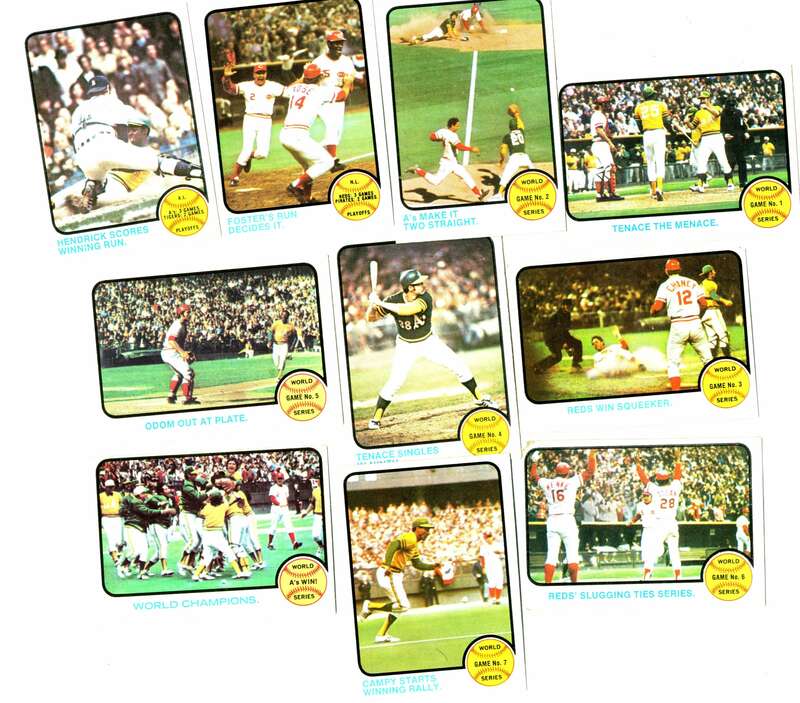 Reading about 1972 — the year before my baseball birth — is a little like reflecting upon events before you were conceived: only existing in the mythical imagination of cards and magazine covers or 45 years later on old tv and radio clips posted on Youtube. 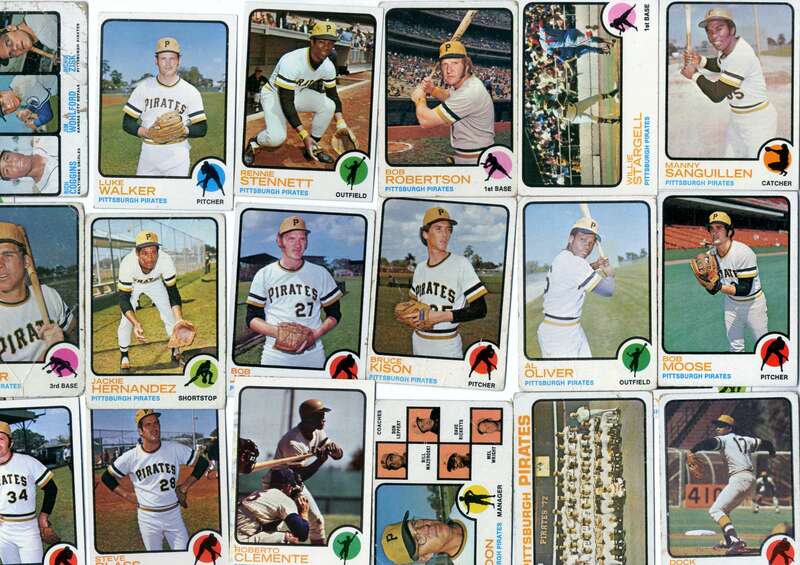 And, as we wrote about in 45 years ago when the Pittsburgh Pirates fielded a team of “All brothers out there” , there was Roberto on the field with his eight brothers en route to the 1971 championship. 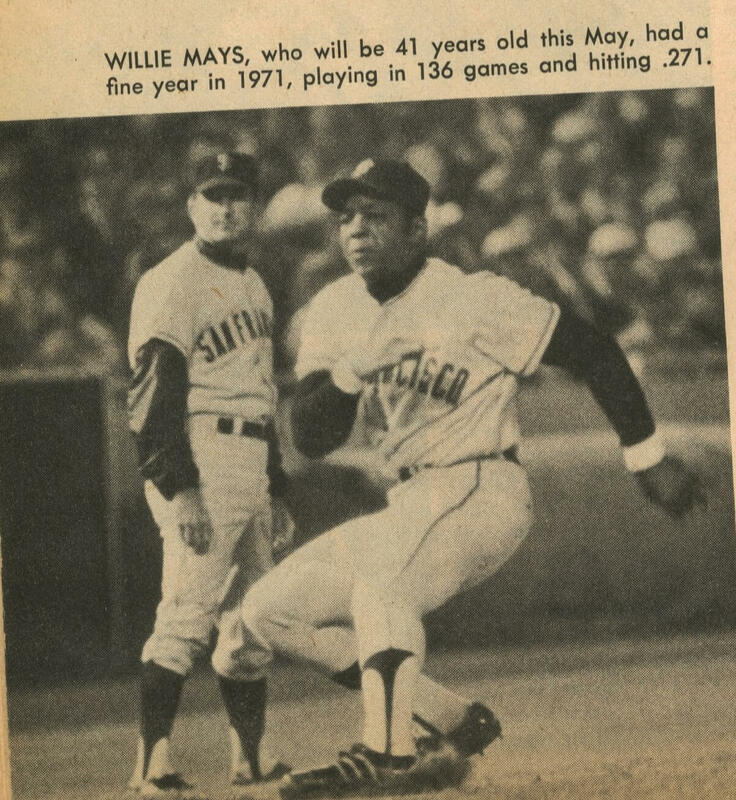 A baseball fan — purist or contemp — walks into different diamond when reopening the crinkling pages of the 1972 S & S.
For several years now, MLB has tried to shorten the length of games to little avail. Today, baseball games are too long. People think baseball is slow and slow paced. But remember, games used to be played often in less than two hours — even in the World Series. Now compare that with the 7 games of the 2016 World Series: 3:37, 4:04, 3:33, 3:16, 3: 27, 3:29, 4:28. That’s about 17.5 hours for seven games in 1971 and 26 for hours for seven games in 2016. 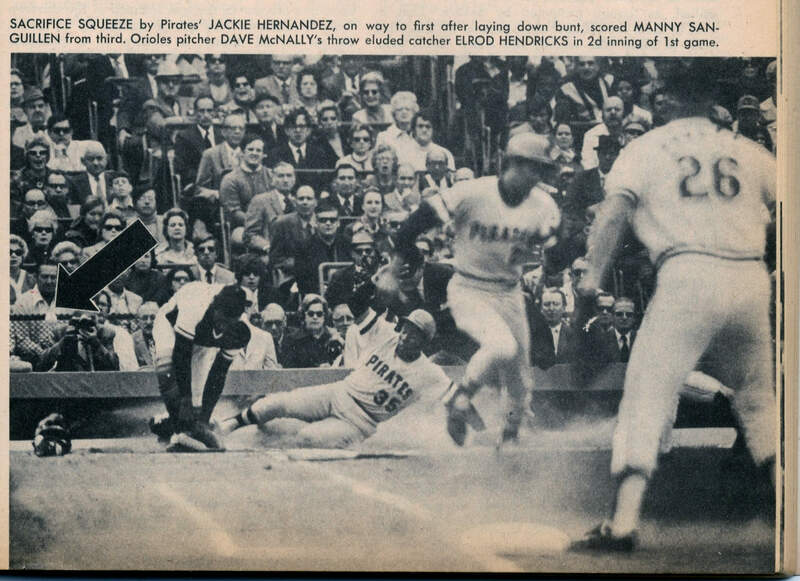 Whether greedy tv executives or the glacial pace of play today are to blame, baseball was better in 1972. In 1972, baseball still had the reserve clause that prevented players from freely negotiating with any team other than the one that originally signed them. 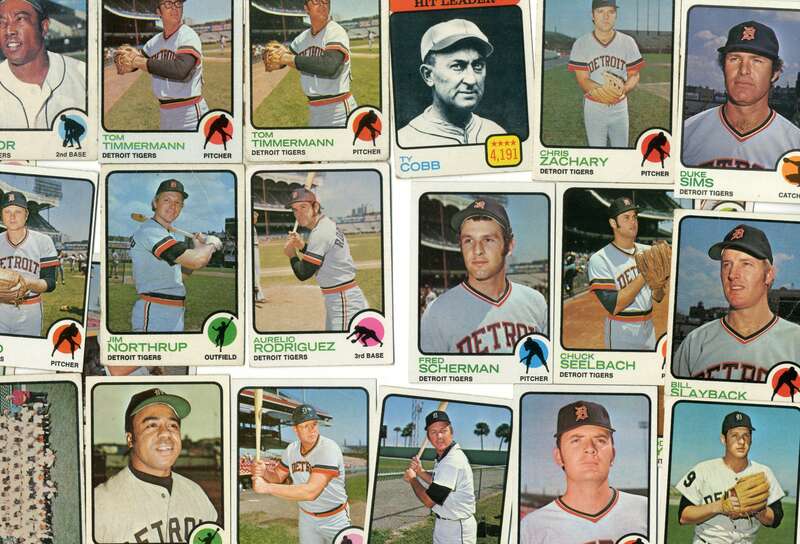 The reserve clause kept ballplayers’ salaries almost unfathomably low compared with today. 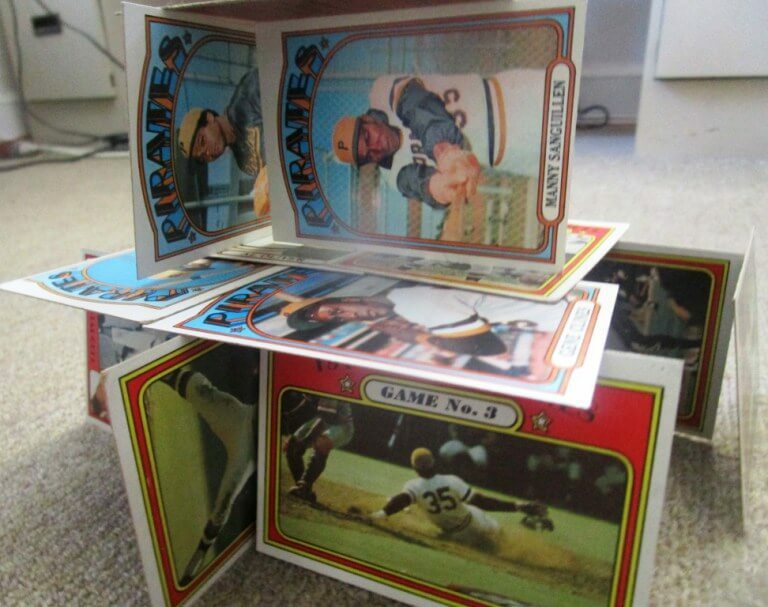 In 1972, the S & S reported that a dozen players had broken the $100,000 mark (about 600,000 in today’s dollars). Keep in mind that today the minimum salary is 440,000; while the top superstars command 20 million a year. In 1972, the entire payroll of the Texas Rangers was 194,000! 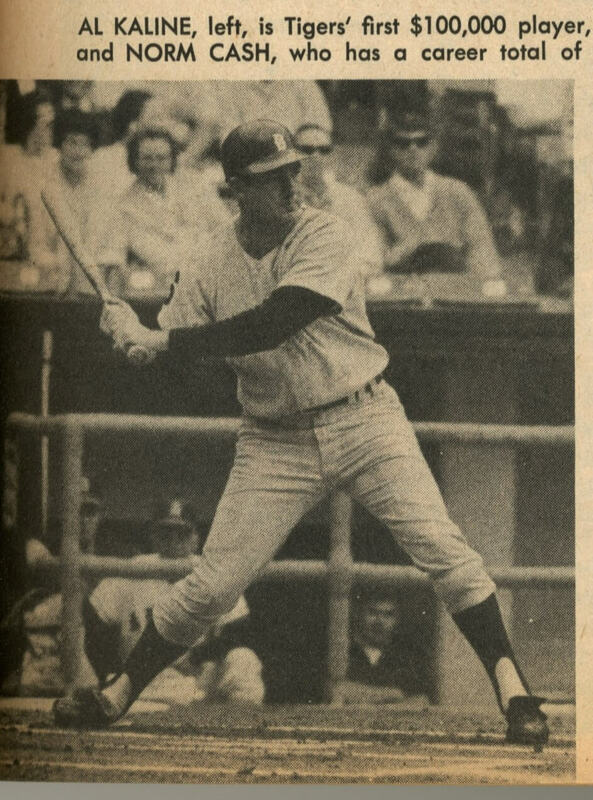 Skimming through the 1972 S & S, I did not find a single reference to the designated hitter. 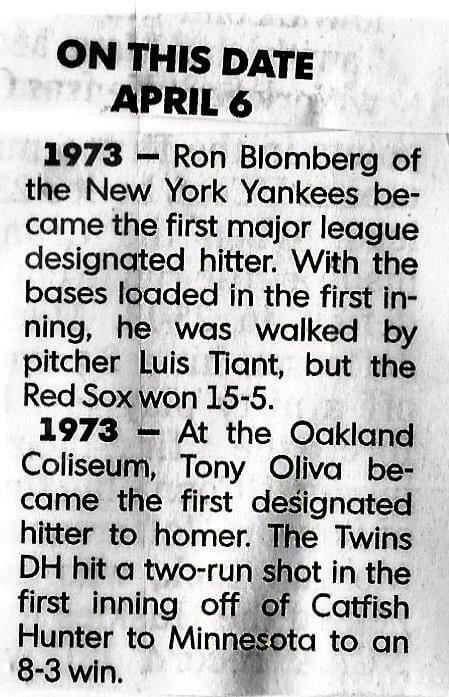 The DH would be introduced to the American League in 1973. In Royals 4 – Mets 3. An opening day World Series rematch with Eugene Kramer , I make a qualified argument that having the DH in just one league might be acceptable. But if the DH ever becomes universal, 1972 will be the last year of the golden age. In 1972, offenses were not as turbo charged as today. Hence, in S & S you could find articles about the art of bunting and getting hit by the pitch. In 1972, the splitting of the Leagues into divisions with playoffs was only three years old. The staid S & S objected, preferring the unfettered drama of the stand alone World Series. I am not such a purist that I object to divisions which became necessary with expansion (itself a necessary sin against absolute purity). That said, the postseason should be strictly limited. The four teams in 1972 was ideal as opposed the abomination of today’s three tiered playoffs. Furthermore, baseball was superior from 1969 – 1984 when the League Championship Series were a best of five. Perhaps the most exciting baseball of all time took place during those taut, short series that hinged on a handful of mistakes. 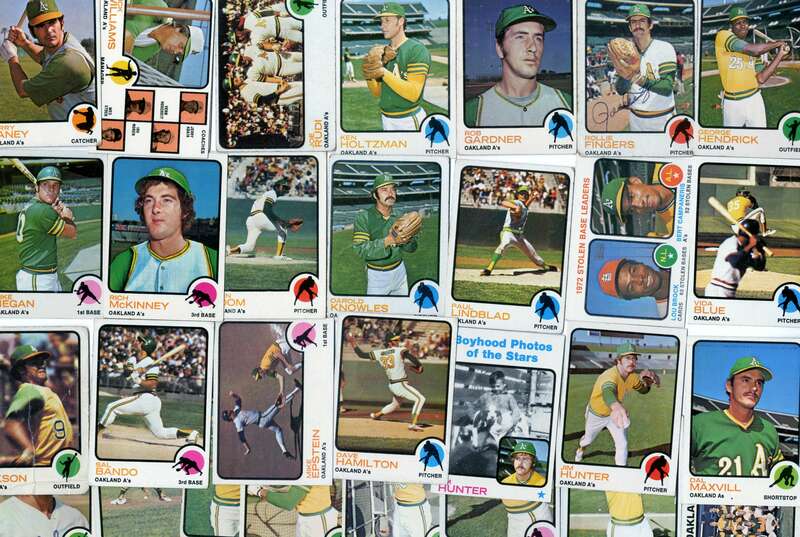 1972 produced the two of the greatest series in history when the A’s beat the Tigers in five and the Red beat the Pirates in five with both game fives decided by a run. HOW DID THE 1972 STREET & SMITH DO? Middling. They predicted correctly on two of the four division winners. S & S was wrong on the AL East, thinking the Orioles would win their fourth straight crown. But the Tigers, led by aging stars Lolich, Kaline, Freehan and Cash, proved they had one more run in them after winning the ’68 series. In an oddity, the Tigers won the Division with the smallest margin possible. One half game. In April the players had gone on strike resulting in teams playing between 6 and 9 less games than scheduled, allowing the Tigers to win by that one half game over the Red Sox. 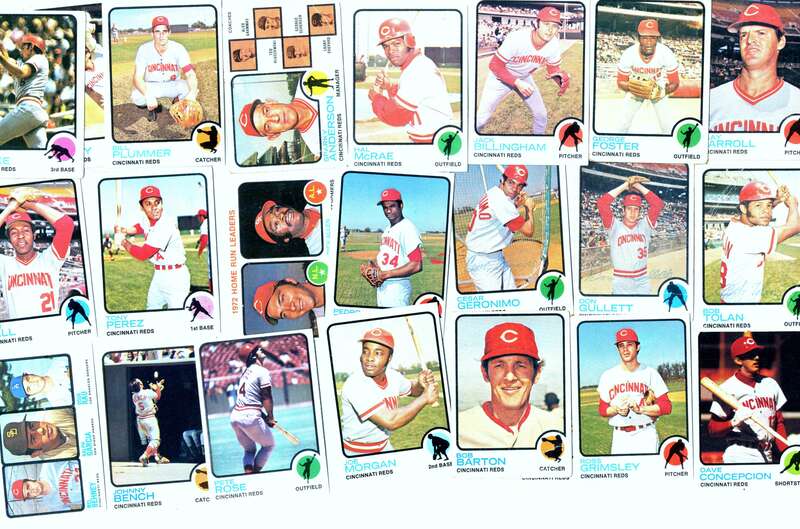 Even though the Reds had made it to the 1970 Series, S & S placed them third in the NL West, But the Reds won as they were beginning to accumulate the Big Red Machine that won the division in ’73 and two straight World Series in ’75 and ’76.